File hashing application and Finder context menu extension. Is there a better alternative to HashTab? Is HashTab really the best app in System category? Will HashTab work good on macOS 10.13.4? 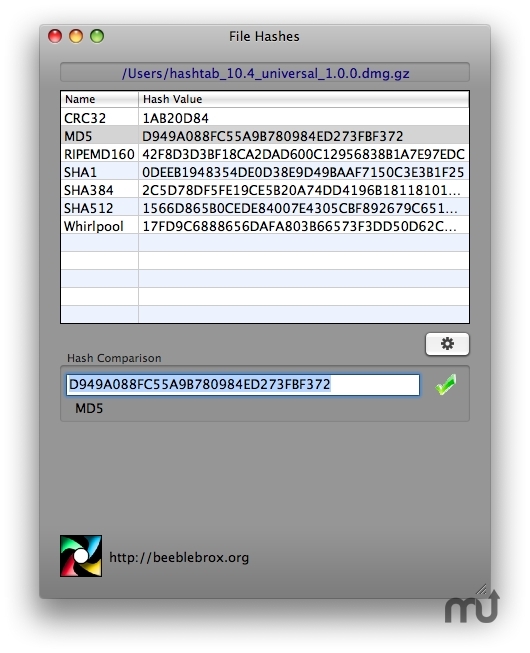 HashTab is a file hashing application and Finder context menu extension. The Finder menu extension adds a menu item called "File Hashes" that will allow you to launch the hashing application on a specific file from directly within Finder. Supports numerous common hashing algorithms SHA1 SHA-256 SHA-512, MD2, MD4, MD5, RIPEMD160, RIMPEMD 320, HAVAL, TIGER, and Whirlpool.